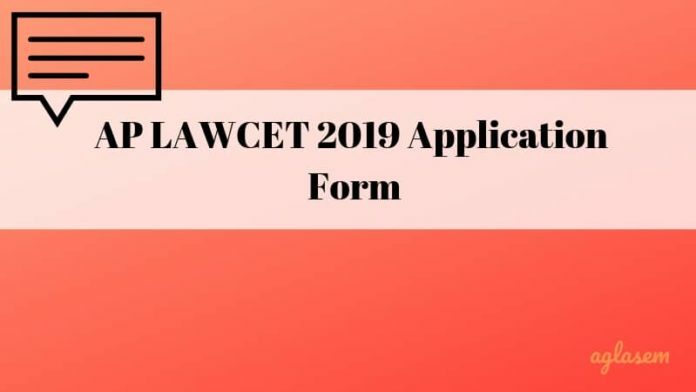 AP LAWCET 2019 Application Form: The application form for AP LAWCET 2019 is released for this year. The entries shall close in the April 26, 2019 as a matter of fact. The process of admission to AP LAWCET 2019 begins with registration of interested candidates on their official website sche.ap.gov.in. Candidates can fill the form through online mode only. Also, in case if a candidate is found to be non-eligible during any stage of the admission process then his/her candidature will be cancelled with immediate effect. Please note in that case, there will not be refunding of any fee paid. For more details on AP LAWCET 2019 Application Form, candidates must scroll down below. Latest: Application form for AP LAWCET 2019 has been released, candidates can now apply through the link given below. Candidates are advised to read the instructions carefully while filling the online registration and application forms. 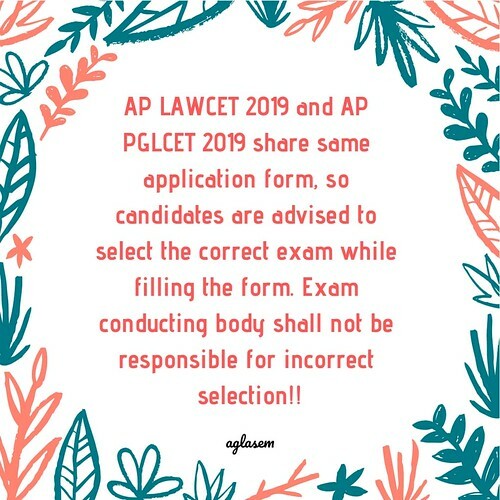 It is important to keep in mind that AP LAWCET 2019 and AP PGLCET 2019 share same application form. Therefore, candidates should select the correct exam while filling the form. Exam conducting body shall not be responsible for selection of incorrect exam. 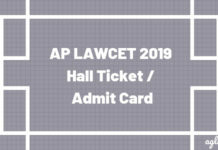 Click here to apply online for AP LAWCET 2019 . Click here in order to pay the fees of AP LAWCET 2019 . Click here to know your payment status of AP LAWCET 2019. Click here to print application form of AP LAWCET 2019 . 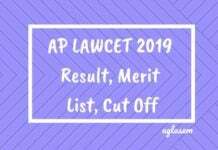 Click here for correction in AP LAWCET 2019. Click here for the User Guide of AP LAWCET 2019. Candidates have to pay the asked registration fee through online mode only. The eligible candidates have to submit an application fee which was Rs 750/-. Candidates can make the payment through AP Online or Debit/Credit Card and Net Banking. 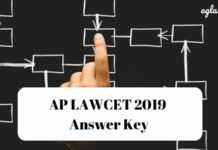 How to fill the AP LAWCET 2019 Application Form? Candidates can go through the steps given below to get to know the complete process of filling the AP LAWCET application form from the official website. Visit the official website www.sche.ap.gov.in or click on the direct link from this page. Now enter the personal and communication details. Continue with entering the educational qualification information. Save and continue with the tour page. After submitting the details and fee payment, take a print out of the form for future references. Law aspirants have the option to apply online for AP LAWCET 2019. Candidates are advised to take note of optional entries that you need to fill in the online form. APSCHE / SKU will not allow candidates to make any changes to caste or community status or category after submitting AP LAWCET 2019 Application Form. Category 1: Candidates cannot edit these fields directly in the online application form. However, SKU may allow them to request for correction in category 1 fields by sending an email to competent authority with valid supporting documents. Category 2: Candidates will most likely get a chance to edit these fields in an online mode within form correction window. However, SKU will only announce whether there will be any form of correction or not. We will surely update the link. Hi sir, Could you please update the link . Sure we will update the page.